It is important that you utilise the skills of experienced franchise specialist advisors prior to making the decision to buy a franchise. 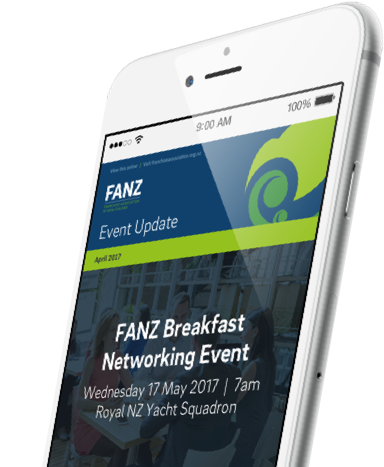 Ask your adviser if they are a member of the Franchise Association of NZ. Remember when choosing a professional advisor that, because they are providing you with advice on a life decision, the decision on who to choose is an important one. Talk to a few different advisors, see who you feel you can relate to and who demonstrates that they understand the role you require of them. We suggest before applying for franchise information and engaging in advice that you first complete the Franchisee Pre-entry Online Education Programme. The Franchise Association is the only body which sets standards for franchising in New Zealand. The Association’s members represent those concerned with promoting high-quality franchising in this country. Members are only accepted after undergoing independent scrutiny to ensure that their documentation and agreements comply with our rules. Members must also undertake to abide by the Association’s Franchising Code of Practice and Code of Ethics which define standards of conduct in keeping with international best practice. All franchisor members must provide you with a document containing all the key details about the franchise. You will receive the necessary information in good time to make a sound decision. You will be encouraged to take proper legal and financial advice. All franchisor members offer a seven day cooling-off period. Only Franchise Association members are bound by the Franchising Code of Practise and the Code of Ethics. All franchisor members offer a simple dispute resolution process in their agreements to protect the ongoing relationship. One of the great things about franchising is that franchised businesses provide many people with the opportunity to enter new industries, roles and careers, without the need for extensive experience. Don’t get it wrong: some franchise systems do require technical qualifications and experience such as Real Estate or Master Electricians, but they are in the minority. Many people consider that because they have never worked in the food industry they could never successfully run a pizza franchise. This is not the case, because the technical skills can be learned, and so can the business skills. The key requirements for most franchises are attitude and determination. Attitude and determination will ensure that franchisees achieve best results. The franchisee’s ability to build relationships, important in any franchise, will help make sales and will enable the franchisee to work well with staff and the franchisor. What time do you have available for the business? Are you prepared to give up the security of a regular income? Are you prepared to take on the responsibility of managing a business? Do you have the total support of your partner? What should you do if the business fails or does not perform up to expectations? It is important to consider these issues, and to do so in a thoughtful and informed manner. Talk to people who know you well, and know what your capabilities are. Talk to self-employed friends and gauge what they’ve learned from their experience. Talk to your professional advisers. Talk to your partner, children or parents. But only talk to those who have something positive to contribute and are impartial or will be involved in the consequence of your decision. Remember also, to complete the Franchisee Pre-entry Online Education Programme. 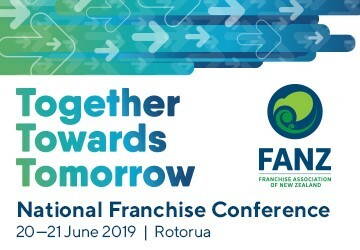 For more detailed information why not take the free Franchisee Pre-Entry Course produced by FANZ, and authored by Franchize Consultants (NZ) Ltd. This course is made up of five segments that include both video and downloadable material for you to look at. Each segment takes about 40 minutes to complete and finishes with a simple set of questions to check whether you have taken in the information. Once you have finished all five segments, you will receive a Certificate of Completion from FANZ. Already there are franchise systems that require you to have completed the course as a way of demonstrating that you are serious about becoming a franchisee. The Franchise Association has a comprehensive list of Affiliate Members who adhere to the Code of Ethics and Rules of the Association and have been independent checked prior to being approved as a member. Seek out advisors who are experienced in franchising and check their experience before deciding to use them.